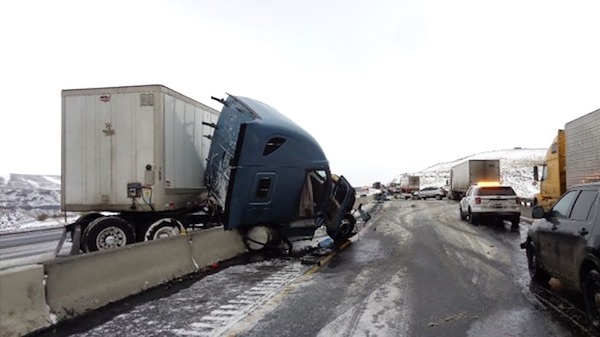 Two people suffered injuries when a semi truck lost control and jumped the concrete barrier on Interstate 90 near Vantage on Monday, according to the Washington State Patrol. The incident occurred around 1 p.m. about two miles east of the Vantage bridge. Police say a semi truck was heading west on I-90 when the driver lost control and hit the center concrete barrier. The impact pushed the semi into the oncoming eastbound lanes, where it crashed into a Subaru Forester. A Hyundai Tucson then hit the Subaru. The passenger in the Subaru and the driver of the Hyundai were injured and rushed to the hospital. Both are expected to survive. The driver of the semi truck, a 31-year-old California man, was cited for driving too fast for conditions. Drugs or alcohol were not a factor. When two passenger vehicles are involved in an accident, there’s rarely many complications. The two parties, along with their insurance companies, almost always arrive at an out-of-court settlement. 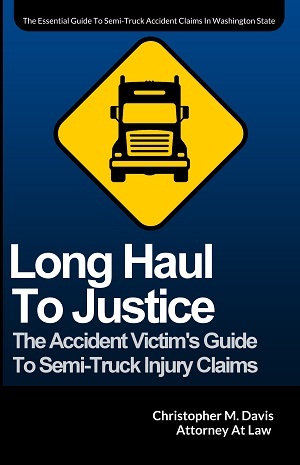 But in a truck accident case, there are many different people involved. The truck and the trailer are often separately owned and insured. There may be a separate company responsible for the load/cargo. Vehicle manufacturers and and repair shops might also be held liable if a mechanical issue played a role in the crash. Additionally, truck drivers and trucking companies have a unique relationship. Some truckers are company employees, while others are independent contractors. The nature of that relationship can greatly affect your semi truck accident case. There are two ways to look at this. It can be a good thing as there are more ways for the victim to recover compensation. But it also be difficult as there are multiple at-fault parties with their own lawyers and incentive to fight the case. If you or a loved one has been injured in a semi truck accident, you need to think about your legal rights. By contacting an experienced truck accident lawyer to handle your claim, you can focus on your physical recovery while your lawyer fights to get you financial compensation. Davis Law Group offers free case evaluations and operates on a contingency fee basis, meaning we don’t get paid unless you win your case. Call us today to get started: (206) 727-4000.